Steven Ujifusa is a historian and a resident of Philadelphia, Pennsylvania. 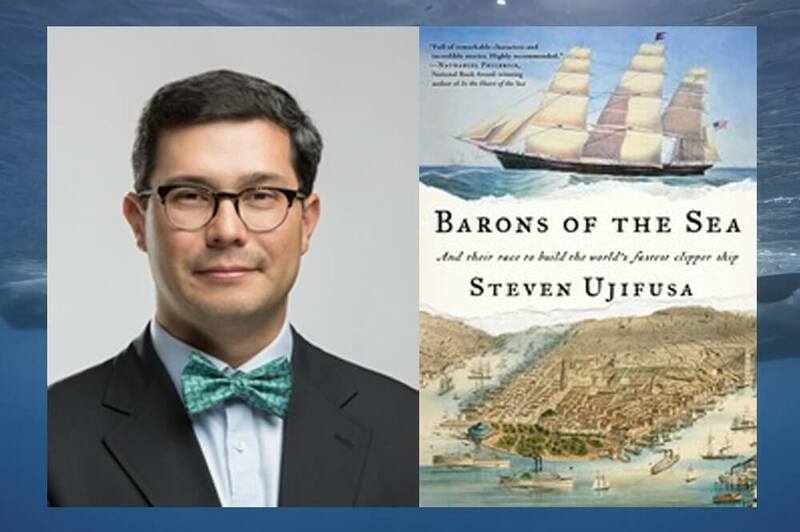 His second book, Barons of the Sea: And Their Race to Build the World’s Fastest Clipper Ship, tells the saga the great 19th century American clipper ships and the Yankee merchant dynasties they created. Warren Delano II, maternal grandfather of President Franklin Delano Roosevelt, takes center stage in the narrative. For this project, he was the recipient of a 7-week writing fellowship from the MacDowell Colony in Peterborough, New Hampshire. ​In 2012, The Wall Street Journal named his first book A Man and His Ship: America’s Greatest Naval Architect and His Quest to Build the SS United States (Simon & Schuster) as one of the 10 best nonfiction books of the year. ​He has appeared on National Public Radio, CBS Sunday Morning, and numerous other media outlets. He is a frequent contributor to the urban history website PhillyHistory.org.